Primal and Paleo lifestyles have shown the ability to reverse disease and achieve a state of overall wellness. 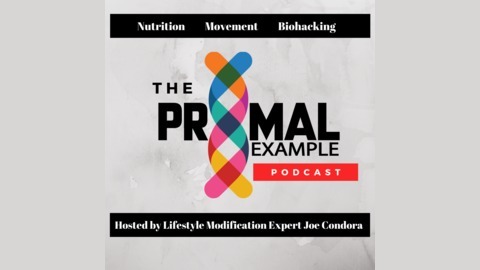 Joe Condora and Amber Lowry from Primal Example explore how to combine ancestral health with modern approaches in order to optimize health and performance. Using Paleo nutritional values and primal functional practices as their foundation, Joe and Amber share cutting edge science-based research to illustrate the benefits of this holistic lifestyle. At their core, they're just a couple of broke, idealistic millennials with a passion for sharing positive messages that promote physical, mental, and emotional synergy through the utilization of biologically savvy yet sound techniques. Whether your goal is weight loss, improving fitness and performance, learning about paleo nutrition, or optimizing overall health and wellness, The Primal Example Podcast has got you covered. In the United States, the average commute time (round trip) is nearly 1 hour per day. If you work 5 days per week, that amounts to nearly 5 hours per week that are spent commuting. Unfortunately, many of us waste this valuable time. Instead of using this time to focus on personal growth, knowledge seeking, or surrounding ourselves with positivity, many of us use this time to engage in toxic behaviors such as checking social media, face-timing their friend to gossip, or listening to the newest Twerk City song (I just completely made that name up). 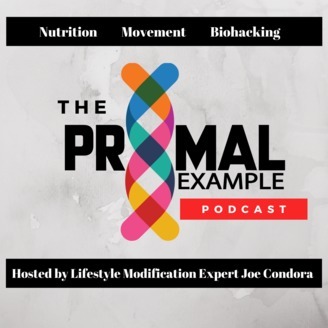 In episode 74 of The Primal Example Podcast, Erica and Joe share some tips on how to make your commute and healthier, productive commute that is conducive to your personal growth. PEP Bonus: Death by Egg: Does Eating Eggs Raise Your Risk For Early Death?